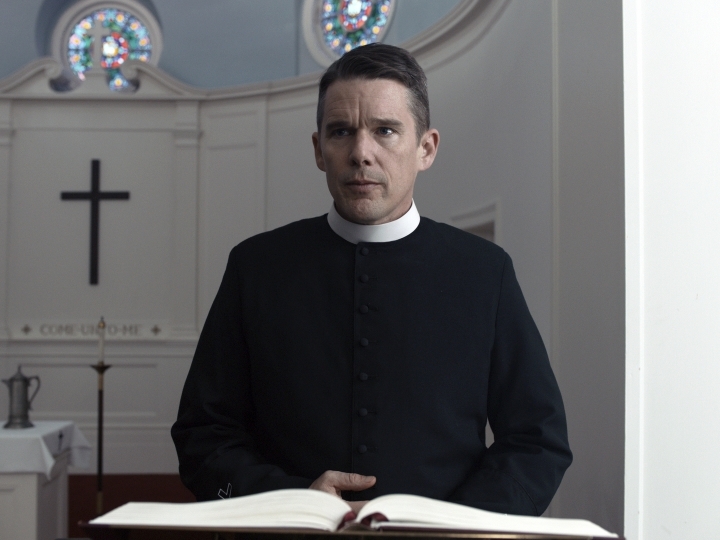 NEW YORK — Paul Schrader's religious thriller "First Reformed" is the leading nominee for the 28th annual Gotham Awards, including nods for best feature and best actor for star Ethan Hawke. The Independent Filmmaker Project announced nominations for the 28th annual IFP Gotham Awards on Thursday. The period drama "The Favourite" snagged two nominations and its actresses, Olivia Colman, Emma Stone and Rachel Weisz, will receive a special jury prize for their performances. The other nominees for best feature include: "If Beale Street Could Talk," ''Madeline's Madeline" and "The Rider." Schrader was also nominated for best screenplay. The hit Mr. Rogers film "Won't You Be My Neighbor?" was nominated for best documentary. The awards will be handed out Nov. 26 in New York.